I know caramels come in lots of different flavors, but when you say the word to me, all I start to picture is baking apple pies and tossing caramel pieces into them so when you slice the warm pie, you get that bit of caramel goodness in the slice. 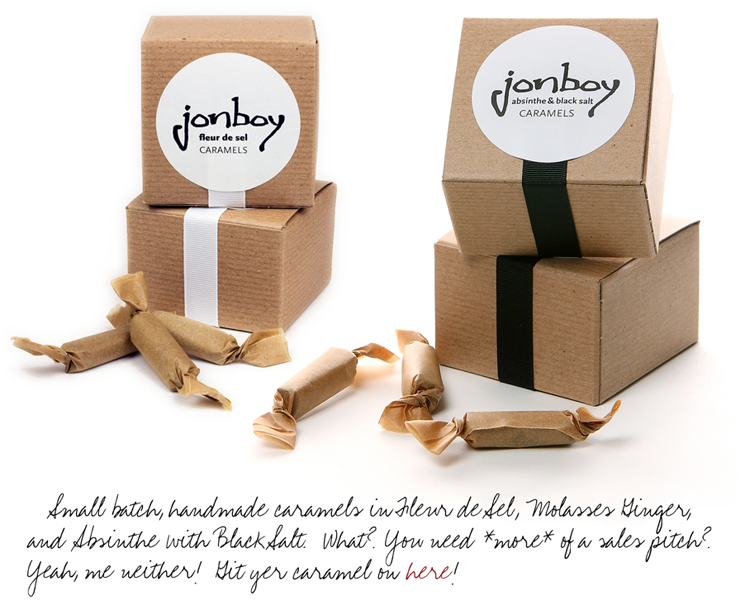 I love the simple packaging of these caramels... perfect unexpected gift for someone! Now I know where to get them. i think i just may need to order these! minimum order 5 but each flavor sounds amazing. (wonder if my seattle friends know?) yum!!! The packaging here is stunning, so simple yet effective. Oh my oh my!! AND the brown papers they wrapped them in! Perfection!! My sisnlaw just sent me some...dear heavens they are GUUUUD! Chantale's reply made me laugh! Very cute! Salt and caramel, what could be better. These are on my list for next month, a friend with a sweet tooth and a birthday. Thanks for the introduction. oh my. Dying to try those dreamy caramels. Sounds too good. But there is a 5 box minimum!! !